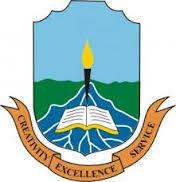 Niger Delta University (NDU) Post-UTME/Aptitude Test Admission Screening Results Successfully Released and Uploaded Online for 2018/2019 Academic Session. All candidates who participated in the Niger Delta University (NDU) 2018/2019 Post UTME/Aptitude test Screening are hereby informed that the results has been released. Candidates are required to purchase the NDU post UTME result checker at the cost of N500 (five hundred naira). Kindly Proceed to NDU Post UTME result checking portal via http://nduscreening.com/checkPutmeResult/. Finally, click on ‘Check Status’ to make a payment of N500 to access your NDU post UTME score.